The grassroots genius of the Chicago jazz scene is that four or five musicians can perform under as many different names; the audience becomes more familiar with them collectively, while parsing the fine points that distinguish their bands from another, which are generally traceable to the respective leader’s writing. 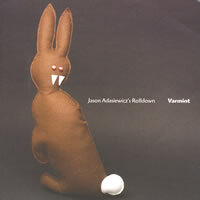 Jason Adasiewicz and Josh Berman are in a pool of musicians who could be pressed into a post-Vandermark gang, whose aesthetic true north is the pre-Ayler ‘60s. Varmint and Old Idea bear this out, with Adasiewicz’s vibes and Berman’s cornet form the nucleus for two contrasting takes on advanced jazz. Both albums draw upon classic Blue Note albums featuring Bobby Hutcherson: Eric Dolphy’s Out to Lunch;Andrew Hill’s Andrew! ; Hutcherson’s own Dialogue. Adasiewicz closes his with a cover of “The Griots,” a loping, not-quite-effervescent piece from the pianist’s date. As composers, Dolphy, Hill and Joe Chambers extended the terms of Monk’s approach to form and vernacular; similarly, Adasiewicz and Berman use angular lines and irregular bar lengths with the offhanded playfulness that makes Monk’s music as inviting as it is challenging. Both composers also take a page from Mingus’ book; they can perfume a ballad, and then either intensify or deconstruct the material to infer a more complex psychology. Based on these recordings alone, Berman has a more formal bearing as a composer. The three versions of “Next Year” – the only tracks that didn’t make the cut onto the LP, the first issued by Delmark in over 20 years – vary markedly; a duo reading by Berman and tenor saxophonist Keefe Jackson, who also plays with the cornetist’s in the Chicago-Luzern Exchange, is austere; a trio version by Adasiewicz and the tandem of bassist Anton Hatwich and drummer Nori Tanaka has a frictionless swing; and the concluding quintet version doesn’t quite split the difference, landing closer to the duo’s take. Yet, this should not suggest that Adasiewicz doesn’t stretch forms or switch gears mid-composition. “Green Grass” opens with the type of Monk-alluding phrases that alternately jab and glide while moving over pungent changes, but then it opens up into hard-swinging, ostinato-driven solos by Adasiewicz and alto saxophonist Aram Shelton. While Shelton’s clarinet supplies arch advanced jazz colors, it is outweighed by bassist Jason Roebke and drummer Frank Rosaly’s simmering grooves, which, on Adasiewicz’s title tune, trigger some of Berman’s fattest notes and most incisive lines on either album. When they’re boiled down, the slight differences between the two albums are temperament-based. Adasiewicz doesn’t couch his bead on swing as much as Berman. 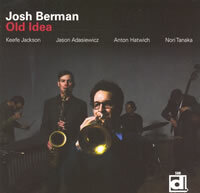 But, Berman’s album is just as engaging on the first or fifth spin as Adasiewicz’s. They potentially have decades to refine this already remarkable partnership; at mid-century, these complementary albums may well be considered early milestones. Somethingtobesaid is an hour-long composition for octet commissioned by the Huddersfield Contemporary Music Festival where this performance was recorded in November, 2008. For Butcher it’s an opportunity to merge his usual improvisational practice with composed elements in such a way that composition might lead improvisation into new areas without inhibiting it. Notated pitches and playing intentions were developed from voices on a ten-year-old answering machine tape, a source that surfaces occasionally, and other pre-recorded elements include the sound of multi-tracked wine glasses as well as some sounds from the ensemble’s musicians. Somethingtobesaid is intimately tied to processes of memory, including repetition, transformation and expectation. It’s performed/created by an ensemble of both players long associated with Butcher (pianist Chris Burn, bassist John Edwards, percussionist Gino Robair and synthesist Thomas Lehn) and more recent associates (dieb13 on turntables, Adam Linson on bass and electronics and Clare Cooper on harp and guzheng). There’s a mingling of acoustic, electronic and pre-recorded elements that blurs both time and source. 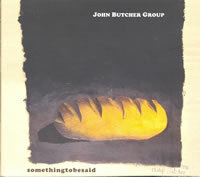 These interests in time and the relationship with language parallel Butcher’s 1997 composition “No Stops, Only Commas” for the Chris Burn Ensemble, from Navigations (Acta 12), but Somethingtobesaid represents a significant step in both scale and methodology. The piece unfolds like a topographical map of an area both new and oddly familiar. Its very first sound is a drone that defies identification, yet the occasionally surfacing, slightly muffled, voices will resonate with shared experiences of telephone messages and dreams. Different combinations of improvisers create shifting textures and layers of association and density, from the vague and skein-like airiness of “Part One” with Burn, Cooper, Lehn and Linson, to the sudden hurly-burly and grit of Butcher’s multiphonic tenor and Edwards’ bass as they emerge from “Part 2,” reminding one why this was recorded and broadcast by the BBC’s Jazz on 3 (this suggestion of jazz reappears on “Part 8,” with Butcher’s phrasing and tone seemingly more rooted in customary modern jazz practice than one might expect, this in itself apparently an element of memory). These emerging sub-groups highlight the sense of continuous evolution, while underlying compositional elements seem to create a sense of foreboding, made explicit in the cryptic and fragmented words. There’s even a sense of time coming apart, as in the conclusion of “Part 5” where there’s a sudden collocation of voices, low register-bass and the chirping upper-register of Butcher’s soprano saxophone. That disintegrative process is still more explicit in “Part 6,” where there’s a “duet” between Burn’s live piano and a recording evidently manipulated by dieb13, sound seemingly becoming substance in a distorting mirror. Clearly the improvisation takes on different dimensions and assumes new directions based on the composed elements, and the ultimate shape of the piece has coherence and depth compounded of the two methodologies and their abilities to reshape one another. Somethingtobesaid is important and powerful work, mixing mystery and certainty in subtle and sometimes disturbing ways. A good storyteller can hold you spellbound even when there’s not much of a story. That’s the case with the ambitious melding of texts and music on Taylor Ho Bynum’s Madeleine Dreams and Julie Tippetts and Martin Archer’s Ghosts of Gold. 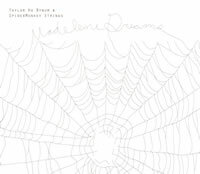 Neither the passages from Madeleine is Sleeping, a magical-realist novel of a 19th Century girl’s coming of age written by Bynum’s sister, Sarah Shun-lien Bynum, nor Tippetts’ poems have a compelling narrative arc. Yet, the texts’ phonic flora has alluring color and scent when spoken or sung by Tippetts or Kyoko Kitamura. After all, the agenda of both projects is to evoke a world, not detail its geology or categorize its insects. Heard in tandem, these albums present a sharp contrast of methods and materials to create their respective worlds. Madeleine Dreams is largely composed and performed in real time, while Ghosts of Gold was conjured and constructed in the studio. Bynum gives each member of the strikingly configured SpiderMonkey Strings interpretative latitude throughout the six-part title piece, tests of tensile strength easily met by Bynum’s detailed score (not surprising given an ensemble including violinist Jason Kao Hwang, violist Jessica Pavone, cellist Tomas Ulrich, guitarist Pete Fitzpatrick, tuba master Joe Daley and drummer Luther Gray). 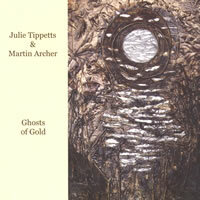 Tippetts and Archer’s collaboration is built upon Tippetts’ choice of text, to which Archer plies woodwinds, strings, keyboards, percussion and laptop-generated textures. They occasionally suspend their deliberate process of sizing and tailoring each track to freely improvise. Archer and Bynum deftly sequence sound events and thematic materials. Granted, Archer has a far vaster palette by virtue of technology; but, like Bynum, Archer uses such conventional building blocks as long tones and motives. Even though Bynum has a relatively narrow spectrum of strings and brass to mix (although Fitzpatrick does provide some jarring shades), he has the latitude to reshape the piece each performance, a dynamism that’s palpable throughout the album. On paper, Archer’s construction methods are at odds with Tippetts’ long-stated preference for spontaneous collective music-making. However, Tippetts is fully engaged, which is really the bottom line. While Kitamura is a gifted singer (she is electrifying on Ornette Coleman’s “What Reason Could I Give,” the first of three afterwards-like tracks that conclude the album), Tippetts has a singular magnetism even while reciting the texts, which is crucial given that she sings infrequently. Beyond their immediate appeal, Madeleine Dreams and Ghosts of Gold serve as guideposts for similar interdisciplinary collaborations. What’s most encouraging about these projects is that they were conceived and realized far removed from the demographically obsessed, audience outreach-driven scrum for grant monies. They are both labors of love, which is why they both succeed. This is a summit meeting of free improvisers who all fly beneath the media radar. They haven’t been ignored by the major media and labels; they’ve actively avoided them. Drummer Randall Colbourne and tenor saxophonist Paul Flaherty have played cathartic free jazz for than 30 years while living in rural Connecticut and recording for small labels like Cadence and Flaherty’s Zaabway Records. (Zaabway release the only previous recording featuring these three players, Resonance, which also had Raphe Malik and Sabir Mateen aboard.) New Yorker Daniel Carter, who’s been improvising even longer than Flaherty and Colbourne, didn’t have a record out under his own name until 2003’s Luminescence (AUM Fidelity), and spent many years in Test, a band that refused to play in clubs and performed only on the New York subway platforms. 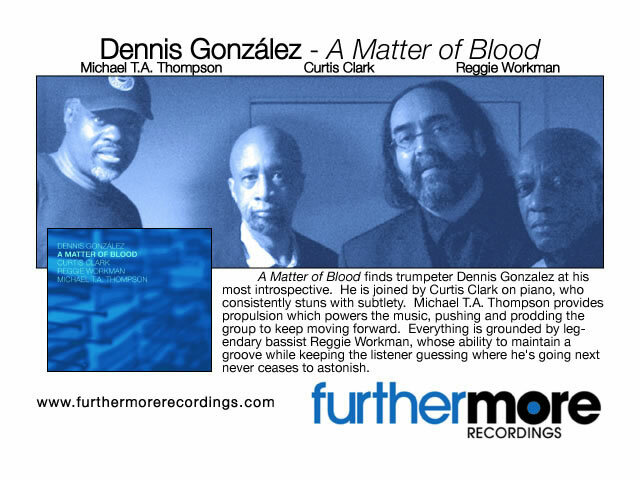 (He has achieved a bit more recognition as a member of Other Dimensions in Music, the free-improvisation quartet that also includes Lower East Side veterans Roy Campbell, William Parker, and Charles Downs, nee Rashid Bakr.) For these guys, obscurity is not a condition arising from neglect; it’s a strategy of avoidance they use to hold on to their freedom. And a graceful, passionate freedom it is. From the outset of the album’s first track, “Walking Upside-Down,” it’s clear that this free improvisation is headed somewhere. There’s no tentativeness, no casting about for a way to work together. There’s just smoothly functioning, spontaneously structured, deeply felt music. Colbourne casts side long glances at the music’s underlying pulse, shifting among the drum kit components for a variety of timbres, dropping in expected holes and silences in his continuous stream of rhythm, editing his playing down to a few strokes, then unleashing an avalanche of sound. 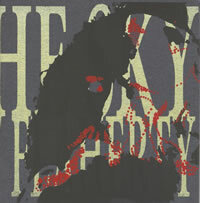 Flaherty’s tenor is a gruff querulous presence, always on the verge of erupting. He chews away at phrases, worrying them into different shapes, building tensions that release in torrents of notes and hot, saturated sound. Even at his most restrained and melodic moments on “Lost Cause Found,” there’s a yearning impatience and a hair-trigger readiness to blast away. Flaherty and Colbourne have developed a close rapport during their on-and-off career together, but Carter has no problem fitting in. Carter, in contrast to Flaherty, is a more linear and even meditative player. He varies and extends ideas, following the thread of an idea as Flaherty and Colbourne storm around him. The overall impression is of a pensive man concentrating on his own thoughts, but of course, that’s deceptive. Carter is aware of what is happening around him and his own improvising responds to the general tone and tendencies of the piece at any given time. Sometimes the contrasts among the three players generate creative friction that amps up the heat and energy of the music. At other times they coalesce in serendipitous moments of harmonious motion and ecstatic release. Carter hasn’t recorded in a setting this combustible since Test. The music is unpredictable, but taut, there’s little time wasted, and the trio’s joyful high spirits communicates with startling immediacy.